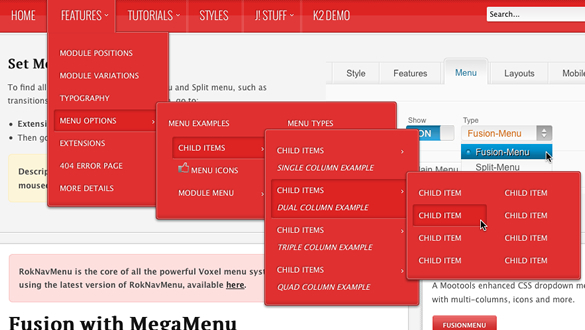 RokNavMenu is an essential ingredient of the RocketTheme themes. It provides various functions which are above and beyond the default WordPress menu system. RokNavMenu is the core of all the powerful Voxel menu systems. It's a part of the Gantry Framework core, and it's not available as an separate package.